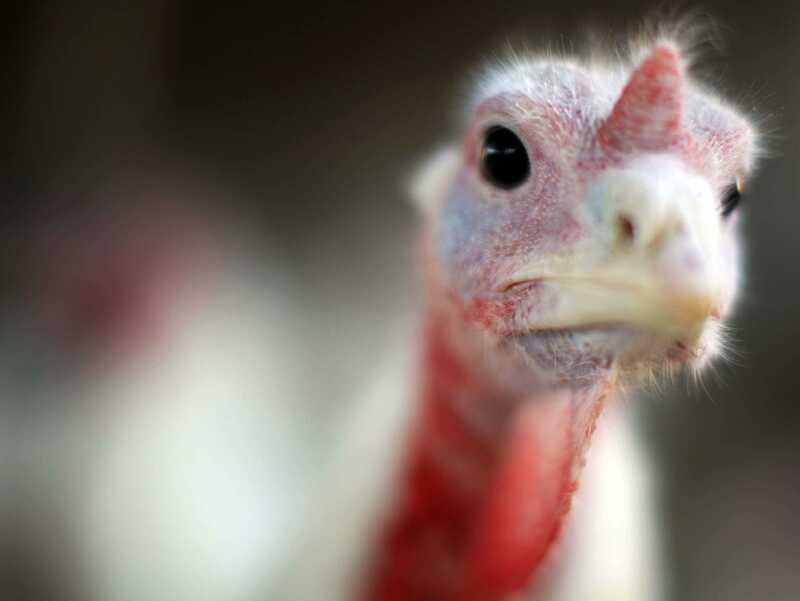 REUTERS/Brian SnyderBefore you feast on this guy, learn a few things about Thanksgiving. We all know that the first Thanksgiving dinner took place when the Pilgrims celebrated a good harvest in the New World, and that the tryptophan in turkey isn’t actually what makes you so sleepy. 1. There are three places in the US named Turkey. Three small towns in America are named after the nation’s favourite bird. There is Turkey, Texas; Turkey, North Carolina; and Turkey Creek, Louisiana, according to the US Census Bureau. Turkey Creek, Louisiana is the most populated, with 441 residents. 2. The first Macy’s Thanksgiving Day Parade used live animals from the Central Park Zoo. 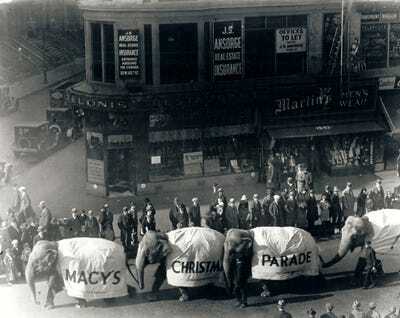 Via Macy’s, IncThe parade was originally called the Macy’s Christmas Parade. The first Macy’s Thanksgiving Day Parade in New York took place in 1914 when Macy’s employees dressed in vibrant costumes and marched to the flagship store on 34th street. The parade used floats instead of balloons, and it featured monkeys, bears, camels, and elephants all borrowed from the Central Park Zoo. It was also originally called the Macy’s Christmas Parade, but was renamed the Macy’s Thanksgiving Day Parade in 1927. 3. Jingle Bells was originally a Thanksgiving song. James Pierpoint composed the song in 1857 for children celebrating Thanksgiving. The title was “One Horse Open Sleigh,” and it was such a hit that it was sung again at Christmas. The song quickly became associated with the Christmas holiday season, and the title was officially changed in 1859, two years later. 4. 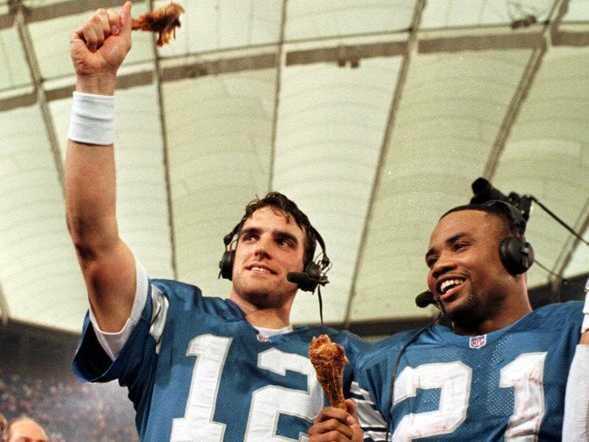 The Detroit Lions always play on Thanksgiving. APGus Frerotte and Greg Hill celebrate with turkey after their annual Thanksgiving day game. The first NFL football game that took place on Thanksgiving Day was in 1934 when the Detroit Lions played the Chicago Bears. The Lions have played on Thanksgiving ever since, except when the team was called away to serve during World War II, according to the Pro Football Hall of Fame. 6. The night before Thanksgiving is the best day for bar sales in the US. The Wednesday before Thanksgiving is responsible for the most bar sales in America, more than New Year’s Eve, the Super Bowl, or even St. Patrick’s Day. 7. 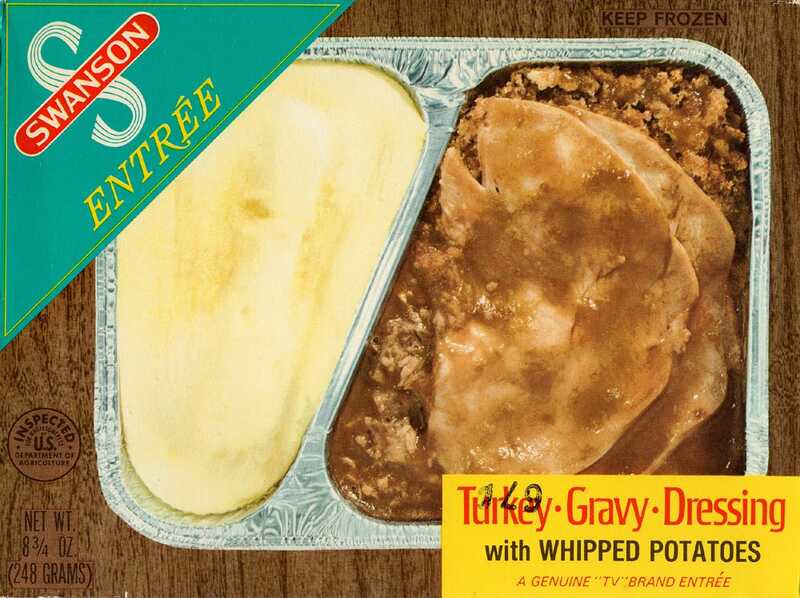 Thanksgiving leftovers inspired the first-ever TV dinner. Allen/FickrSwanson introduced the TV dinner on September 10, 1953. In 1953, the TV dinner company Swanson overestimated the demand for turkey by over 260 tons, according to Smithsonian Magazine. Taking inspiration from aeroplane meals, Thomas ordered 5,000 aluminium trays, and loaded them with the turkey leftovers to create the first TV dinner. 8. Ben Franklin wanted the turkey to be the official bird of the US. 8. Thomas Jefferson canceled Thanksgiving during his presidency. Most historians agree that Jefferson really refused to declare the holiday because he fervently believed in the separation of church and state, and thought that the day of “prayer” violated the First Amendment. 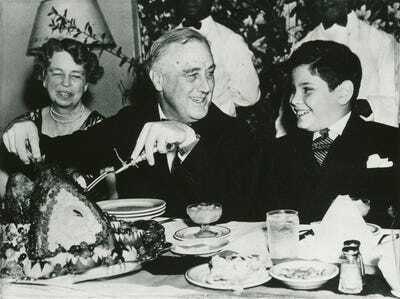 It wasn’t until 1863, when Abraham Lincoln proclaimed Thanksgiving a federal holiday, that our beloved turkey day was officially scheduled to fall on the fourth Thursday of every month. 9. FDR tried to change the date of Thanksgiving — and it caused a lot of problems. 10. Minnesota produces the most turkeys in the US. Minnesota produces more turkey than any other state in America. Last year, the state produced more than 1.16 billion pounds of turkey, valued at nearly $US839 million, according to the Agricultural Marketing Resource Center. North Carolina, Arkansas, Missouri, and Virgina are also top producers. 11. There is an annual tradition of offering a turkey a presidential pardon — and no one is really sure when it began. 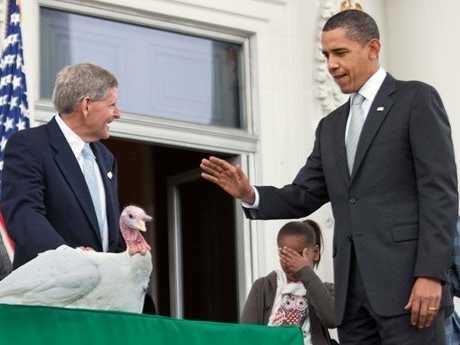 WikipediaPresident Obama pardons a turkey called ‘Courage’ in 2009. The annual tradition was thought to have begun in 1947 with President Harry Truman. But some think that it actually started in the 1860s with Abraham Lincoln after his son Tad begged him to spare his pet turkey’s life. Plus, John Oliver really doesn’t understand why America does it.